Need more information about booking Home 1318022 ? Tripadvisor Certificate of Excellence, Four Star (Visit Scotland) cottage with superb views ensures you will have high quality accommodation for your island holiday base. You will be given a warm welcome by the owners Margaret and Iain Parker.The house includes exclusive use of a large area of decking giving panoramic views of Lamlash Bay which includes a covered veranda area giving level access to the house. The view can also be enjoyed from inside the house, including watching the antics of the red squirrels that live in the pine tree opposite. The apartment has been awarded Category 2 Accessubility by Visit Scotland - acompanied wheelchair users. We welcome up to 2 well behaved pets with a £15 additional charge per visit and a £50 returnable damage deposit. Please enquire when booking. electric over bath shower (a bath stool is available if required). Regardless of how active or relaxing you intend to spend your holiday , this accommodation will provide you with a very comfortable base with exceptional views that you might not want to leave. 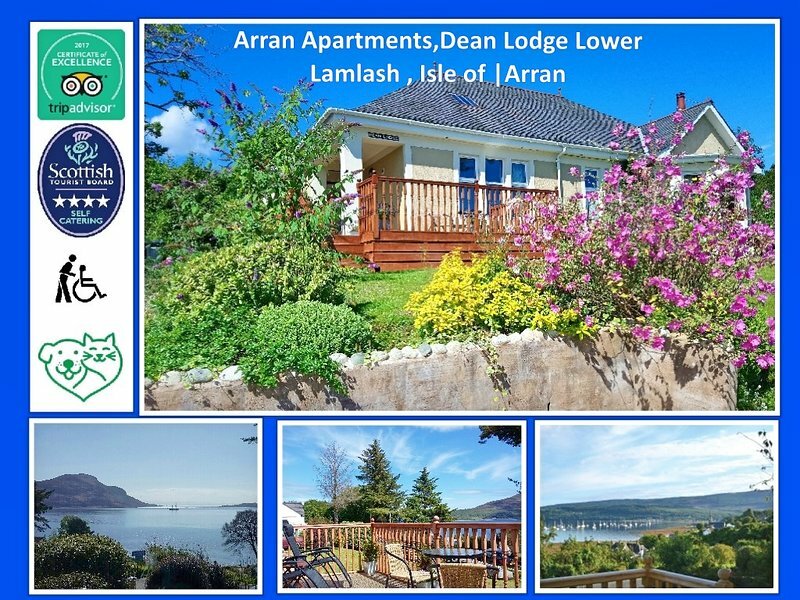 Arran Apartments at Dean Lodge is close to the beach and other facilities within the village of Lamlash. These include 2 hotels, 1 pub right on the shore, 2 cafes and the Golf Club - all providing food. Additionally there are tennis courts,a putting green, a bowling green and an 18 hole golf course as well as the ferry to Holy Isle and a variety of shops.This is a superb high quality base for your Arran holiday where you can relax and watch the shipping movements in the bay including the paddle steamer Waverley as she passes through or the occassional tall ship or naval vessel as well as the variety of yachts and other small craft that regularly frequent the bay.You can also watch the resident wildlife that frequents the garden including red squirrels and a family of pheasant that wander about as well as a considerable variety of other birds - all without leaving the decking or house.If you plan a more active holiday then you can return and relax after a busy day drinking in the view while perhaps having a BBQ ( gas BBQ and gas provided) in this prime holiday location. We will usually be here to meet you on arrival. If you need to contact us, our mobile and home numbers are on the front of the "Arran Index" as is the WiFi key. This is the local directory and is on the bookshelf. We welcome pets and visitors with pets should follow our pet policy during their stay. 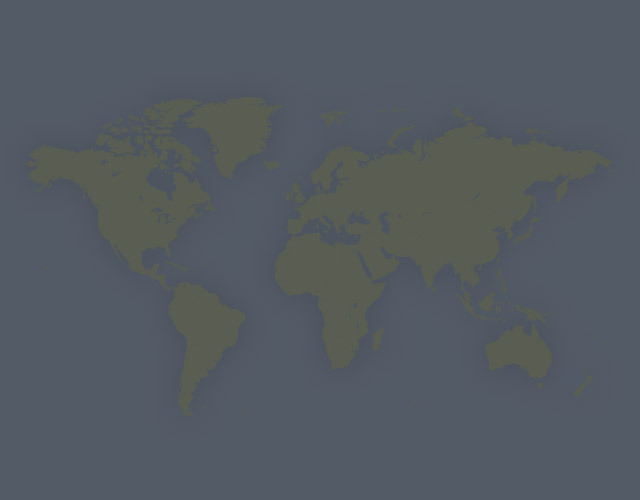 We will send this by e-mail. Up to 2 pets are welcome for which there is a £50 returnable damage deposit and a £15 charge per visit. Dogs should not be left alone in the house, nor should they be allowed on the furniture or in the bedroom. All vaccinations and worming treatment should be up to date. A cot or additional bed can be provided for a child. For the comfort of all guests, no smoking is allowed. This Bungalow has 1 bedroom, 1 bathroom and sleeps 2. It’s been listed on Holiday Lettings since 15 Jan 2014. Located in Isle of Arran, it has 40 reviews with an overall rating of 5. The average weekly rate varies from £567 to £602. Beautiful location in Lamlash overlooking Holy Island with plenty of wildlife in the garden.Margaret and Iain were lovely hosts who could not have been more helpful. They provided us with a welcome pack of food and information on walks we were interested in. The property was very comfortable and well maintained. We can't wait to come back. The flat was very tidy and clean and in the perfect location. The owners were so welcoming, helpful, and accessible. They had added many touches to make the home inviting and comfortable. Everything was in perfect working order, including the lovely shower, always with plenty of hot water. The kitchen was well supplied with dishes and cookery, and having the microwave was a big plus. It was a short walk to a local bus stop, and by car was only minutes from the ferry terminal and market in Brodick. The description and pictures are a true reflection of this beautiful property, I couldn't have asked for more!